Well, shut me up. 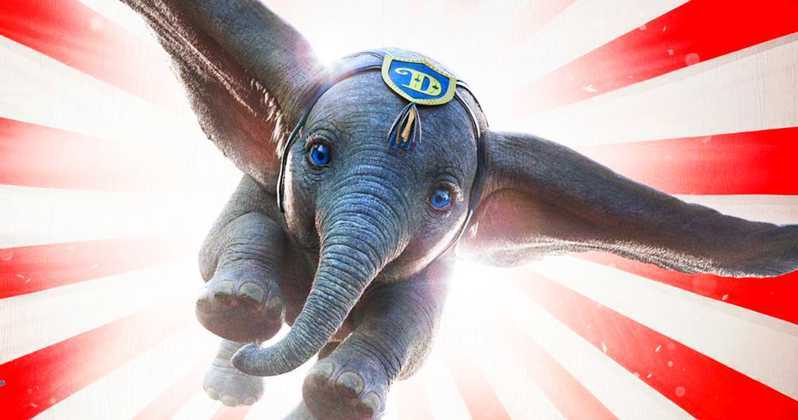 Having recently told my colleagues Dumbo would kill it this weekend and eventually make $800M (this is why nobody pays me to do financial analysis), Disney will instead swallow a $45M debut. To be fair, I hadn't seen the movie at that point, and while I liked it there's no way it's cheery enough to lure in families for the long haul. While the start isn't awful it is below projections, even with the worldwide tally $116M. The film is directed by Tim Burton and while he is a critical favorite, Burton doesn't have the mainstream lure that he used to. And of course, we're looking at this relative to Disney's other live-action movies. Beauty and the Beast cleared $1B and Mary Poppins Returns, while underwhelming, made $348M overall,. Dumbo may have to fight to reach the low end of that, but it should do better than The Nutcracker's $173M. Jordan Peele's Us dropped 52%, which is a bit less than standard for other horror movies, and earned $33.6M. Overall the film has $128M domestic and $174M worldwide, which is just $80M shy of Get Out's entire theatrical run. The faith-based Pure Flix strikes again, this time with anti-abortion drama Unplanned. The film scored with its target audience on the way to $6.1M, the studio's second-largest debut behind God's Not Dead 2. The terrorism drama Hotel Mumbai, based on the 2008 terror attacks in Dubai, expanded in the second weekend with $3.1M. The film stars Dev Patel and Armie Hammer as a hotel employee and guest trapped inside the Taj Mahal Hotel as Islamic extremists stormed the building, killing dozens and taking others hostage. It's a tough watch, not the kind of thing that attracts large swaths of moviegoers anywhere. We're long past the time of the similar Hotel Rwanda, which used the benefit of Oscar buzz to leg its way to just $33M. Neon released Harmony Korine's The Beach Bum into 1800 theaters, and got $1.8M for their trouble. That's not so good. The slacker movie stars the ultimate slacker, Matthew McConaughey, and features a slew of guest stars that potheads will appreciate, Snoop Dogg among them. This has pretty much no shot of reaching the $31M worldwide heights of Korine's Spring Breakers, and it has to count as another box office misfire for McConaughey who is clearly in a slump.